JENNY C. LIN, J.D., LL.M. Jenny Lin has been practicing tax law since graduating from U.C. Berkeley, Boalt Hall School of Law in 2000 with her juris doctor degree. She is one of an estimated 400 attorneys certified as a tax specialist by the State Bar of California Board of Legal Specialization and has spent nearly 20 years helping her clients manage complex international tax matters. 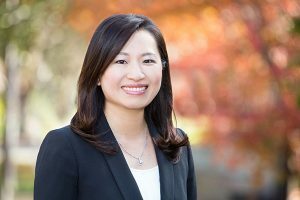 Ms. Lin’s practice, Lin Tax Law, focuses on cross-border planning and tax disputes for individuals and businesses. She has handled more than 150 offshore disclosure cases. Prior to opening Lin Tax Law in 2011, Ms. Lin spent ten years working in the San Francisco office of highly regarded international tax firm, Ord & Norman. During her tenure with the firm, she co-authored or was the principal author of briefs submitted to various courts of appeal, including the Ninth and Second Circuits, involving civil and criminal tax issues. Ms. Lin was co-counsel in the U.S. Supreme Court case Kawashima v. Holder, Docket no. 10-577. She represented clients before the IRS, including more than 40 clients in the 2009 Offshore Voluntary Disclosure Program involving noncompliance relating to foreign income and foreign asset reporting and the FTB. Ms. Lin has also authored several articles published by bar publications and is a frequent speaker at various organizations, including Bloomberg BNA, the Bar Association of San Francisco (BASF), East Bay Trust and Estate Lawyers, CalCPA Society, and California Commercial Alliance. Topics have included information reporting of offshore assets and IRS enforcement efforts, international estate planning, pre-immigration tax planning and issues relating to foreign-owned real estate. Read other articles published by Ms. Lin. Ms. Lin is a member of the California Bar and the American Bar Association and has been actively involved in these organizations. She is a member of the Tax Section of the Bar Association of San Francisco and the Society of Trust & Estate Practitioners. She was Chair (2014), Vice Chair (2013), Secretary (2015) and a member of the Executive Committee (2011-2013) of the Tax Section of the Bar Association of San Francisco.